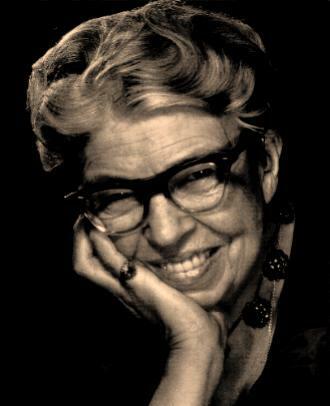 "I'd rather shine a light than curse the darkness" -Eleanor Roosevelt. The Church should take this quote to heart that all our opposition to injustice would be out of our being light in darkness, rather than just a loud and cranky voice. We've become far too good at complaining and we've grown worse at actually doing good in the world. Even groups who should be working together are addicted to focusing on differences rather than on their common ground. Wouldn't it be better for us to focus on what we can do and then simply do it? Let our actions be the true structure to which our words are only a support. If our actions are about being light, then perhaps our words would follow. Our words themselves wouldn't be the kind of oppositional language which divides and conquers. Our words would themselves offer light, hope, and inspiration, and they'd only be an opposition to injustice thereby. Rather than complaining about the government mistreating people, why don't we go make friends with those whom the government is mistreating? Jesus didn't get crucified for saying that Rome was evil and that the Jews were bad. It was Jesus' solidarity with those he came to save and his embodied invitation into a better kind of life that made the authorities angry. Jesus said, "take up your cross," it means that our resistance should mirror that of our savior. There's an excellent article in "Christianity Today this month about some really innovative ministries in Latin America, but it's not on-line yet. Also, Michael Savage's new "Change the World" offer lines of hope. avage writes: "Who we are and why we are here are realized as we live and serve God together in community under the authority of the Lord Jesus Christ. The values of this community are not established by trends in media, art, politics, or economics. Those values change with every generation. The values of the Kingdom of God are eternal [...] If the world is ever going to take the good news of the Gospel seriously, then we must take a serious look at our paradigms for ministry, repent, and realign our priorities and resources with the message and mission of Jesus." Savage stresses that we need to shift from attractional evangelism to mission evangelism. He argues that we need to move away from trying to create quality programming for every age and life stage in much the same way that a cruise ship is a "self-contained fortress of programming for every age and interest." In this model the congregation members are like customers picking and choosing from the buffet. On the other hand, mission evangelism "parallels the priorities and focus of a mission outpost in a challenging place of great human need." We all are, after all, resident aliens sojourning in a strange land. The mission outpost is a more apt analogy than a cruise ship for what the church ought to be.